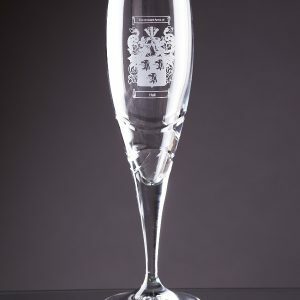 The Mayfair lead crystal wine glass perfectly combines a modern stylish glass with a traditional diamond cut design. 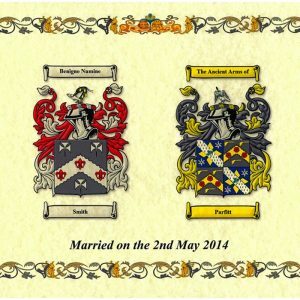 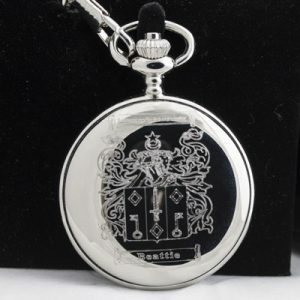 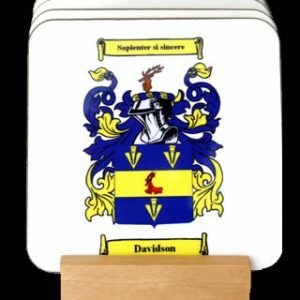 Personalised with a Coat of Arms, they make a striking feature in the dining room. A gift of quality. 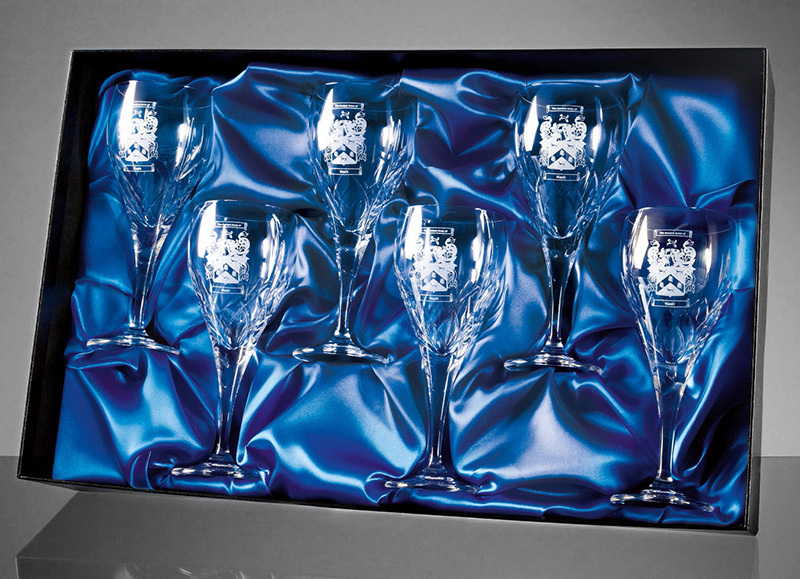 All sets are presented in a satin lined gift box.